(March 9th, 2017 – Toronto, Canada) – Portfolio Entertainment is thrilled to congratulate Martin Short on his Canadian Screen Award (CSA) for ‘Best Performance in an Animated Program or Series’ for The Cat in the Hat Knows A Lot About Camping! The win was announced last night on the second night of the CSA Gala. The Cat in the Hat Knows A Lot About That! is produced in association with Random House Children’s Books and Dr. Seuss Enterprises. The Cat in the Hat Knows A Lot About Camping! 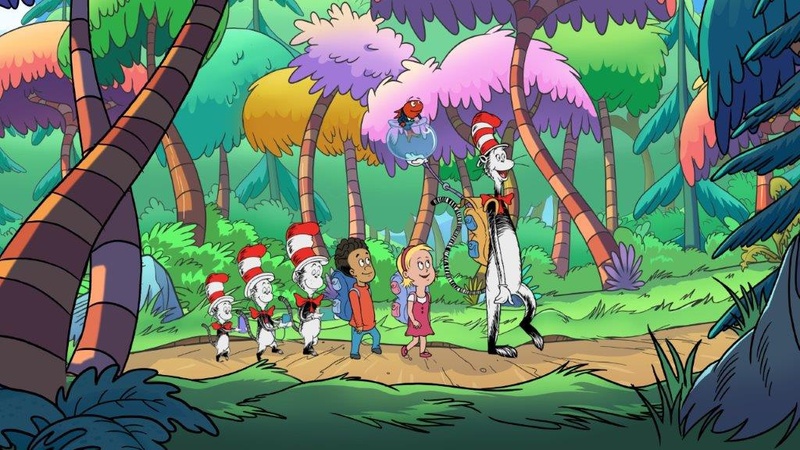 – For the first time, the Little Cats join The Cat in the Hat, Fish, Nick and Sally on a fun and frenzied outdoor adventure as they camp, hike and paddle their way to Fish’s family reunion.